I love how she also had a gap of time between the time she started coloring it and when she finished. 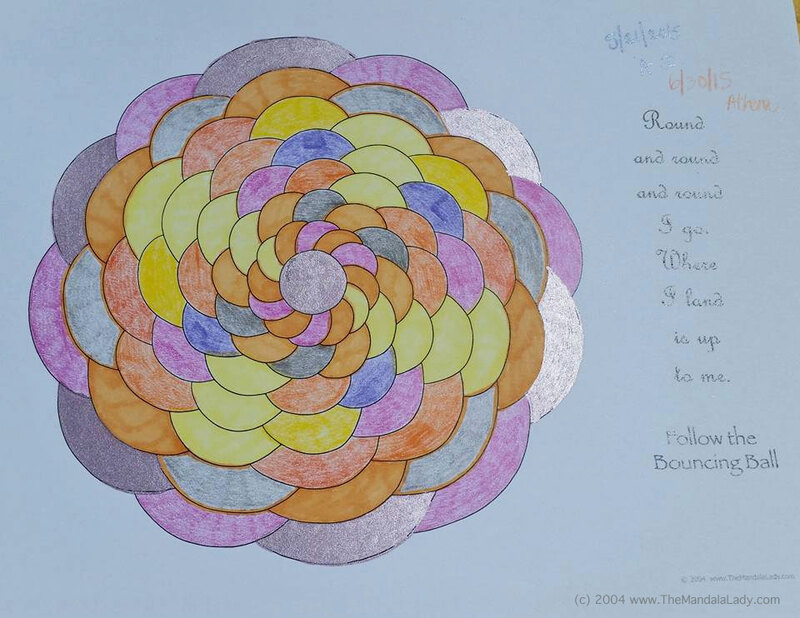 Sometimes a mandala needs to sit for a bit…for the energies either to settle in or catch up. Do you rush to finish your colorings? Or do you color as the spirit moves you?